CBD boasts a wealth of therapeutic benefits appreciated by people seeking many of the phytonutrient benefits of cannabis without getting high. Cannabidiol, or CBD, is THC’s “sibling” cannabinoid. They both exist as the two most abundant cannabinoids found in cannabis and often compete for space. While THC causes much of the euphoria cannabis is known for, isolated away from THC, CBD is a non-intoxicant and can attribute to both mental and physical relaxation. In fact, CBD boasts a wealth of therapeutic benefits appreciated by people seeking many of the phytonutrient benefits of cannabis without getting high. Today, breeders cultivate specialized CBD-centric strains of cannabis, like the notable Charlotte’s Web named after the young epilepsy sufferer healed by oil processed from the strain. Scientists are innovating with inventive cannabinoid containing products, like Hygia Nutrients’ rapidly absorbed water-soluble CBD sprays and “Bliss Shots,” using nanotechnology. Whether you live in a region where access to high-CBD cannabis is plentiful or not, it’s myriad medical benefits are being recognized by clinicians and policymakers the world over, with CBD often becoming decriminalized or legalized ahead of traditional high-THC forms of marijuana. And there’s more. From post-traumatic stress disorder (PTSD), multiple sclerosis to irritable bowel syndrome, insomnia and certain mood disorders, both anecdotal evidence and research studies are showing that CBD has the capacity to be a beneficial and potent treatment in mitigating symptoms of disease. Along with published studies, blogs, magazines and videos, both Reddit and Project CBD are great resources for diving deeper into the intricacies of this important cannabinoid. Found mostly in the resin glands, or trichomes, expressed by female cannabis plants, CBD and THC are two of nearly 100 other cannabinoids. We have found that the human endocannabinoid system (ECS), which is similar to, and interacts with, our central nervous system, even produces its own cannabinoids! While cannabis plants produce cannabinoids, so do humans, all vertebrate animals, some invertebrates, and even other plants. Researchers believe various life forms began developing and evolving the ECS roughly 500 million years ago. Human-derived cannabinoids, anandamide (N-arachidonoylethanolamide, AEA) and 2-arachidonoylglycerol (2-AG), are called endocannabinoids because they are endogenous to our bodies. Through complex neurotransmitter systems, these endocannabinoids help us maintain equilibrium or homeostasis. Plant-derived cannabinoids, or phytocannabinoids, like CBD, THC, and hundreds of others found in cannabis, are believed to help stimulate our own ECS, further promoting balance and well-being, especially when consumed in appropriate and moderate quantities. Our bodies are lined with cannabinoid transmitters and receptors from our skin, intestines, reproductive organs to our brains. Cannabis breeders today gravitate toward controlling which primary cannabinoids are present in each strain, most popularly, lots of euphoria-inducing THC. However, traditional, ancestral, wild-grown cannabis not subject to years of selective breeding and hybridization will contain fair amounts of both CBD, THC and other cannabinoids like CBG (Cannabigerol) and CBN (Cannabinol). When consumed together, these cannabinoids are highly synergistic and work complementary to each other to provide a range of therapeutic benefits and effects. Since CBD and THC are the most prevalent cannabinoids found in cannabis, they’re also the most sought after and breeders are now cultivating strains with varying ratios of CBD to THC. A 1:1 CBD to THC strain is believed to be one of the most therapeutic forms of cannabis overall, providing the deep relaxation benefits of CBD along with some THC induced euphoria. The synergy of these two cannabinoids is further enhanced by growing practices that induce varied terpene, or essential oil, expressions in cannabis. Cannabis has the unique ability to express incredibly complex aromatic essential oil profiles with notes of lemon, pine, tangerine, eucalyptus, spice, and more. This can be seen in popular strain names like Lemon Kush, Tangerine Dream, Golden Pineapple, and Sour N Sage. Cannabis aromatic terpenes work in unison with our bodies, just like in the practice of aromatherapy, to further enhance the effects of CBD. Remember how researchers believe all vertebrae, and even some invertebrate animals, have been evolving endocannabinoid systems for nearly 500 million years? That means your dog, cat, horse, even goldfish have evolved to interact with cannabinoids. CBD pet treats and foods used to help animals with relaxation, anxiety, and injury-related pain are becoming more commonplace every day. High CBD with zero THC is often preferred since it’s not cool to get your pet stoned. Nonetheless, CBD pet treats can be helpful in treating an overly anxious Felix, or soothing Fido’s injured paw. 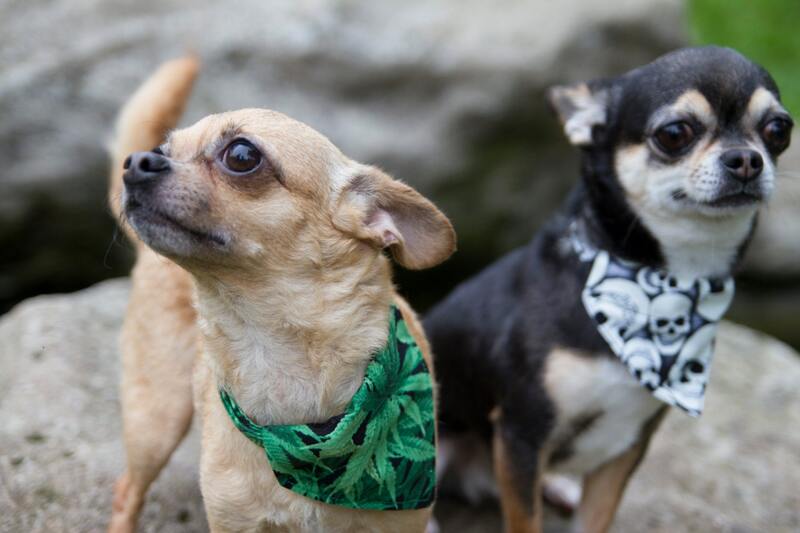 The research is young on this, as is insight and advice on which animals tolerate cannabinoid treatment, so consult with your vet before administering CBD. When cooking or vaporizing cannabis, each cannabinoid has unique temperatures from which they oxidize, evaporate, vaporize, polymerize, and even convert into compounds more readily assimilated by our bodies. It’s this science that fuels the ritual of decarboxylating cannabis before adding it to the amazing MagicalButter Machine. Decarboxylation of THC is best achieved through a temperature of 250°F (121°C) for 30-45 minutes, while CBD decarboxylation is best achieved at a temperature of 280°F (140°C) for 60-90 minutes. When vaporizing, it takes even higher temperature settings, even near and above 400°F (204°C), to draw out the most CBD. Knowing these distinctions can help you make the most of your CBD.